At Nitor, our belief is that true transformation requires a cultural shift driven by behavioral change in your organization. Our 8-Element Approach is a proven methodology to help you move your organization from where it is today to the vision you have for tomorrow. Nitor has established world-class benchmarks on the eight key elements of successful Procurement organizations. Our cross-industry experience and market studies have determined the people, process, and technology aspects that make a company “emerging,” “average,” or “best-in-class.” We work with key business process owners for each of the 8 Elements to define where you are today, where you want to be tomorrow, and the actions that will bridge that gap. These 8 Elements are the foundations that support organizations and mirror the eight solutions that form the basis of Nitor’s services. Nitor’s 8 Element Assessment methodology delivers a detailed gap analysis, recommendations, priorities, roadmap and business case to enable sustainable source to pay or procure to pay transformation. 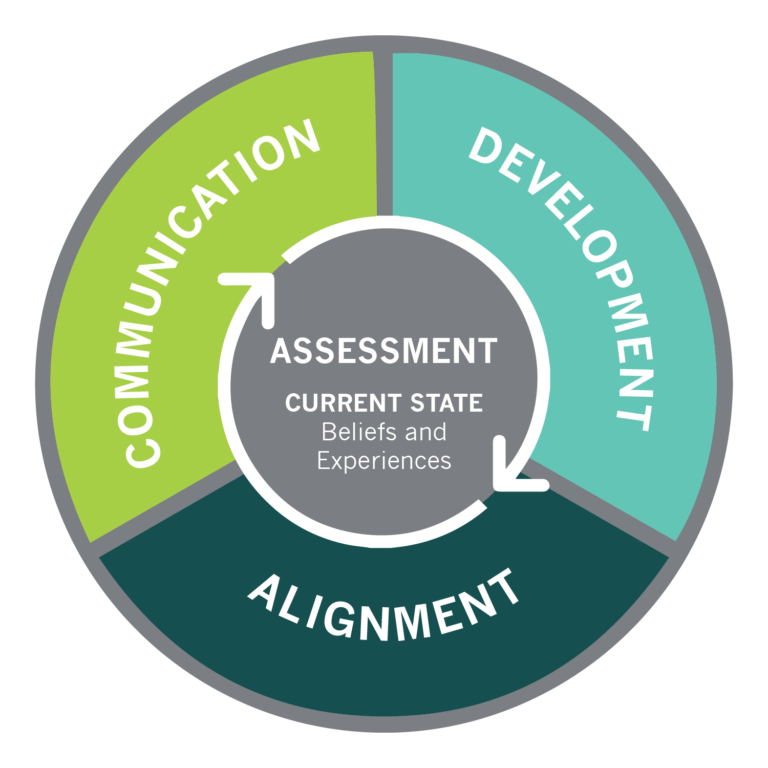 See the How We Empower section for more information on our Assessment process. Following an assessment, actually executing the recommendations and transforming the Source-to-Pay environment is what creates change. Nitor goes on the source to pay solution journey with our clients and helps create and build the new people, process and technology foundation across all 8 Elements. Without detailed data, a natural category hierarchy, visibility, and insight into the existing spend with suppliers across categories, how can an organization make informed decisions on category management, optimize sourcing strategies, leverage spend power and manage suppliers? The answer to the question is simple – they can’t. The good news is Nitor has enabled many global and national organizations to address these issues in Spend Analysis. This groundwork paves the way for Nitor’s remaining seven elements and the foundation supporting a best-in-class Procurement organization. Poorly managed master data can create unnecessary risk and put significant savings out of reach. Bad data in disparate systems in several purchasing departments affects business operations and requires high manual effort to even make it partially usable. This is used to set an aggressive, but achievable, category vision that identifies where the business stakeholders and procurement want the category to be in three (3) years. Addressing the approach to Category Management is one of the best things your Procurement organization can do to significantly improve the value it creates. 1. Stakeholder Engagement: Identify the stakeholders within a category to determine their level of support and influence – drive for active and open engagement. Establish the objectives of the Category Management approach. 2. 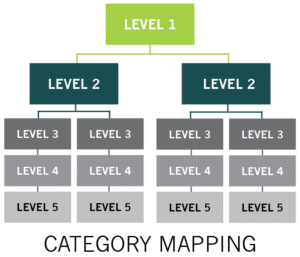 Category Mapping: Mapping the category and subcategories (spend, suppliers, geography, stakeholders, business requirements) providing a deeper understanding of the category spend within the organization and insight into potential opportunities. 3. Performance Review: Assess performance of the existing suppliers against the business requirements and determine areas for improvement. 4. Market Assessment: Develop a comprehensive view of the broader market for the category including key suppliers, market share, risks, opportunities and capacity. Assessing the market dynamics of the category provides insights into how your organization is positioned in the market. 5. 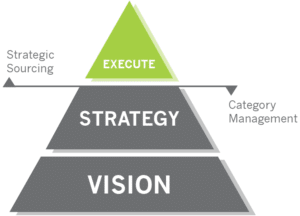 Strategic Review: Use strategic tools, outputs from the earlier steps of the process, and stakeholder input to determine the multi-year vision and strategy for the category. After that, you can identify clear priorities to implement. 6. Project Portfolio: The end result of the Category Management process is a prioritized portfolio of projects (based on value, complexity, effort, time and risk) to be executed to implement the category strategy. From initial stakeholder engagement through presentation of a full category project portfolio, Nitor makes your category management efforts best-in-class. Nitor’s Six Sigma-based strategic sourcing process provides a holistic approach to sourcing, driving much needed cost savings but also aligning with business needs and improving performance across Delivery, Quality, Service and Innovation. We do not “scorch the earth” and negatively impact the non-costs aspects of a category. Our holistic approach drives business stakeholder buy-in, ensures sustainable value is delivered and enables knowledge transfer on world class sourcing. Strategic Sourcing has been a popular procurement practice for years and many organizations believe they are practicing Strategic Sourcing. In reality what they are doing is more aligned with conducting tactical buying or reactive resourcing. There is not a tie-in to an overarching Category Strategy or thinking strategically and the end result is typically not optimized. Nitor’s Strategic Sourcing process, tools and playbook utilizes 5 stages based on a Six Sigma methodology that will help execute your true Strategic Sourcing vision. 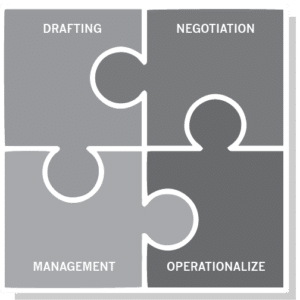 Effective Contract Management addresses all aspects of the contracting process, beginning with the development of the contract terms, negotiation to secure agreement, operationalizing the contract through technology, and ongoing protection of category terms and conditions with suppliers. Our approach combines both process and technology to provide a scalable program to effectively manage contracts. Once key gaps are identified, a transformation program to drive change is created and enabled. Key performance targets to measure success are set. Delivering value through Category Management and Strategic Sourcing is very visible and therefore success is often celebrated and rewarded. However, the real challenge is finishing the job and realizing the value created from these efforts. Robust Contract Management is one of the key components to securing the value created, yet it is often an afterthought in many Procurement organizations. With the right processes, technology and people seeing the task through to the end and contracting and managing suppliers in an efficient way – the value created will be realized. Robust Supplier Management ensures the value achieved through effective Category Management and Strategic Sourcing is delivered and ongoing performance is actively managed. Effective Supplier Management ensures that suppliers that are critical to operations are identified, classified, assessed and appropriate plans are developed to manage risk, performance and relationships. Develop process, tools and technology – To improve and drive consistency in how an organization manages suppliers, there needs to be a methodology/process, tools and training and enablement through user-friendly technology. Segment the supply base – Segmenting suppliers to ensure resources, time and effort are leveraged to manage key relationships. Review and manage supplier performance – Measure supplier performance against agreed requirements/KPI’s resulting from the Category Management, Strategic Sourcing and Contract outputs. A supplier performance scorecard is developed to measure and monitor supplier performance and identify deficiencies in performance. Understand and manage risk – Organizations with joint risk mitigation plans are able to more quickly recover from issues than those without plans – especially for the high risk/high impact areas. While risk can never be eliminated, it can certainly be assessed, mitigated and managed. Develop relationships with suppliers – In addition to managing performance and risk, effective Supplier Management involves managing relationships. A common mistake is that organizations forget to focus on the “people” aspect of Supplier Management. Manage Organizational Change – Do not under estimate the importance of Change Management. Anytime an organization is being requested to do things differently it is critical to drive awareness, collaboration and buy-in. Like any consumer-based business, the primary principle of eProcurement is to make life simple and easy for our customers. Nitor applies that same “run it like a business approach” to ensure your front lines are focused on customer satisfaction while ensuring compliance. From invoice submission through processing and payment, leading organizations are driving towards fully electronic transactions. We’ve worked with all of the major supplier networks and have a deep understanding of cXML and EDI. As a result, our customers are collectively processing millions of electronic invoices each year. We also know it’s naïve to think that paper invoices will completely disappear overnight so it’s important to have a plan to automate the submission, tracking, and processing of paper invoices. Nitor’s A/P automation playbook includes proven strategies for implementing invoice imaging, OCR technology, and supplier portals. Today, most companies pay too much sales tax on certain invoices and underpay tax on other invoices because they can’t calculate sales and use tax through real-time integration with a sales and use tax engine. Through automation of sales and use tax calculation, Nitor customers have ensured the accurate calculation of tax. In turn, our customers have eliminated exposure to tax auditors and associated penalties. Nitor recommends real-time tax integration, and we’ve successfully integrated different tax solutions as part of our A/P automation projects. Savings alone is a short-term view of procurement effectiveness. Our approach is to build a single dashboard that accounts for the entire value proposition made to the organization. At Nitor, we believe change management to be an intentional and structured approach to address the impacts associated with a move from your current state to a desired future state. Our change management practice ensures that your associates are prepared to make lasting change. Nitor’s proven change management process provides a thorough view of the scope and scale of organizational change and creates a targeted plan to navigate the change. Any change in process or technology will be met with a “mixed” response from your associates. Effective change strategy must be grounded in a full understanding of the past experiences and prevailing beliefs held by those who will use the new process or technology. Communications – From sponsor alignment to a targeted, multi-channel communication plan including development of a brand image, we work to drive consistency and trust in all communications. Alignment – Sustainable change most always requires a fresh look at your organizational performance management tools. Our practitioners work with your human resources team to review and update tools including capability assessments, role descriptions, recruiting templates, and goal-setting documents. There’s more to measurement than just “checking the box.” We’ll help you develop metrics for not just adoption (i.e., “Are people using the new process/technology?”) but also utilization (i.e., “Are people getting the most benefit from the new process/technology?”).